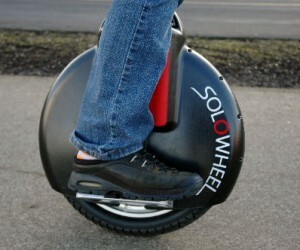 It feels wonderful when you go everywhere you want, using the new Solowheel. This transportation device is intended to be used as an electric bicycle. It’s with the size of a small brief case and convenient, plus no doubt it’s a lot of fun riding the Solo Wheel everywhere you please! Simply lean forward to go forward, lean back to stop and lean left or right to turn.